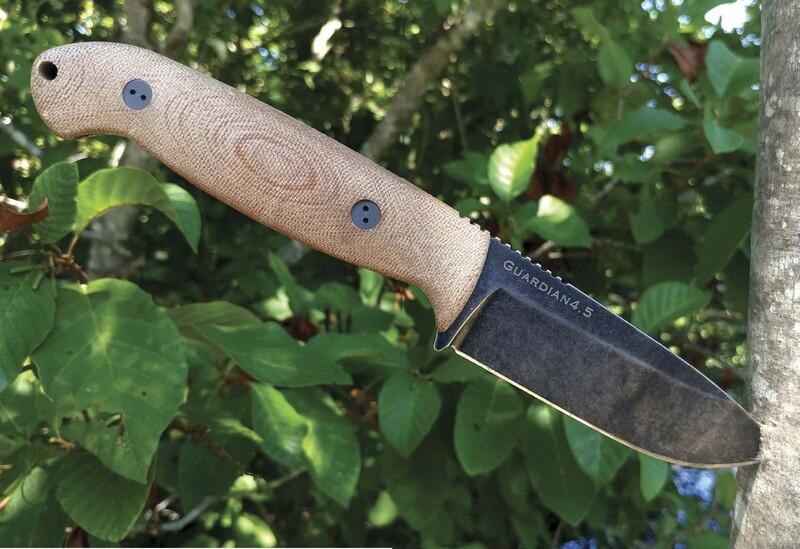 Above: The Bradford Knives Guardian 4.5 is a good size for a bushcraft companion. My question? “Well, just how friendly is it?” LOL. 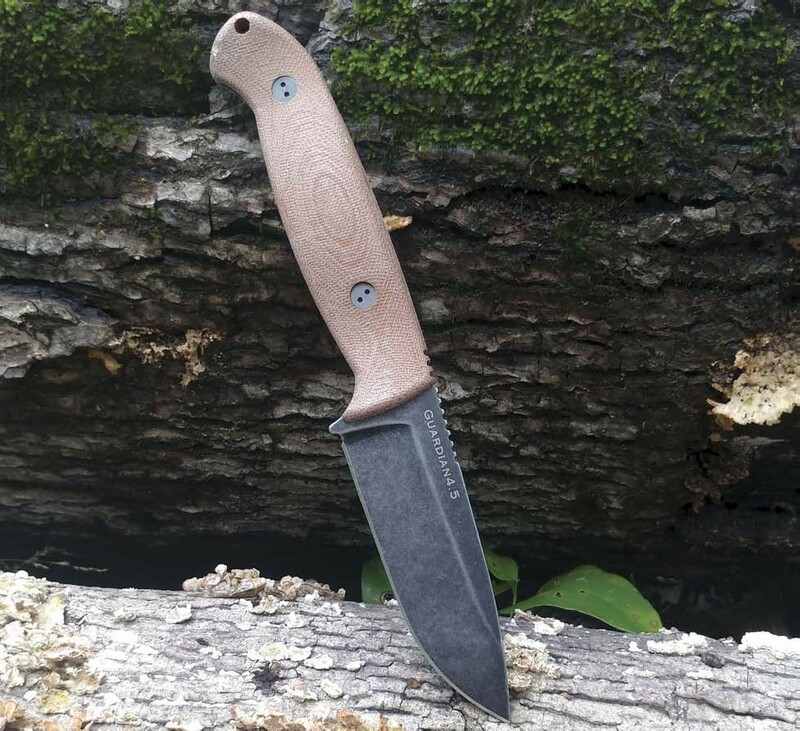 And then along comes the Bradford Guardian 4.5 Bushcraft knife. When I seriously assess the company’s statement, I take it as it has developed a product that works well with few complications, provided the user has good woodsman skills. Of course, bushcraft skills are rather specific, but some of these other activities are a bit broader in range. 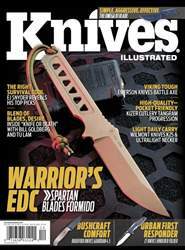 So, let’s see just how friendly the Bradford Guardian 4.5 Bushcraft knife is.